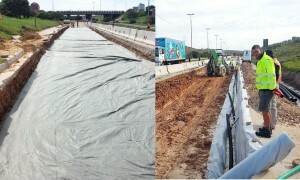 Rehabilitation of the road pavement layers was undertaken and insufficient drainage issues solved using bidim A2 and A6. The bidim in this project used the equivalent of 201 318 recycled cooldrink bottles. 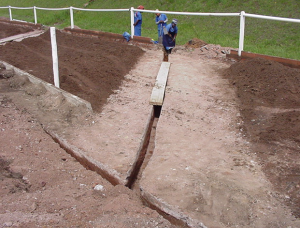 This trapezoidal drain constructed at the top of a retaining structure to assist with the catchment of water whilst directing the flow away from the slope. 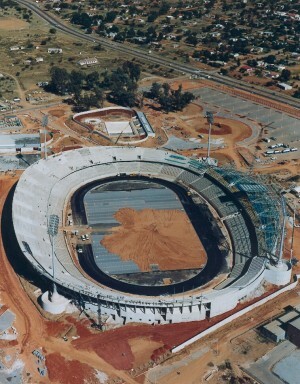 Home of the Bloemfontein Celtics, this stadium field’s parallel drainage system uses bidim A5. The bidim in this project used the equivalent of 80 081 recycled cooldrink bottles. 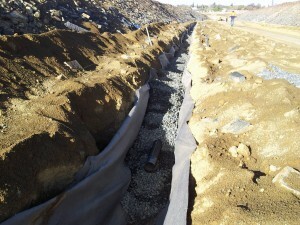 In sports field drainage, a subsoil drain was installed around the perimeter of the field using pipe and bidim A4. The bidim in this project used the equivalent of 3 978 recycled cooldrink bottles. This section of road constructed in a valley, has been vulnerable to ground water and consequent damage. 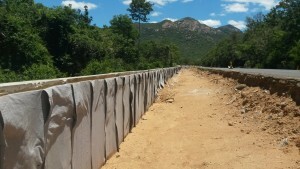 Precast concrete cantilever walls were used to retain the imported material for the widening of the road. 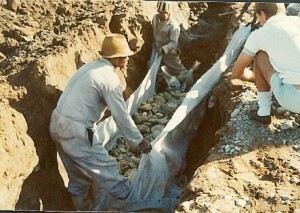 bidim was installed as a filter fabric over the entire wall area. 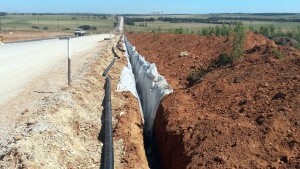 The Flo-Drain system comprises pipe, bidim (A2) filtration, and a geotextile net. 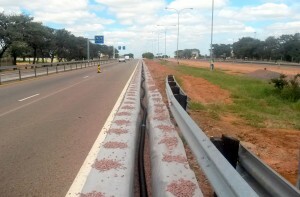 It was installed as roadside drainage along this 2.5km section. 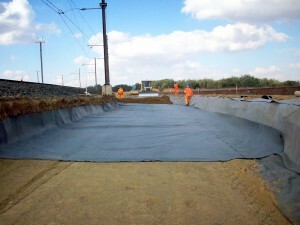 bidim A2 as a drainage layer along the track enhances the performance of the track to world-class standards. The bidim used in this project was produced using 179 189 recycled cooldrink bottles. 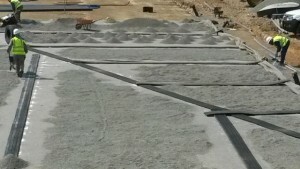 A drainage layer was installed under the floors comprising bidim A2, fine stone, and a plastic layer. 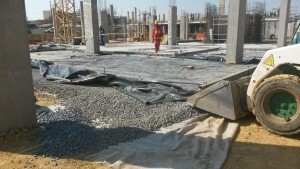 Concrete was then cast over this layer. 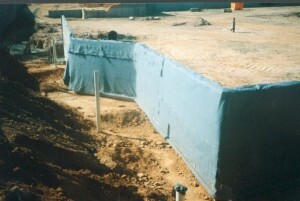 For the basement walls, ZipCore was installed with a toe drain consisting of bidim and drainage pipes. The bidim used in this project was produced using 175 421 recycled cooldrink bottles. 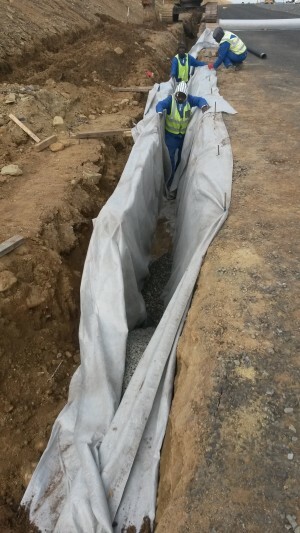 Subsoil drainage was installed in deeper-than-standard trenches to eliminate the risk of water ingress into the layer works in this low lying area. 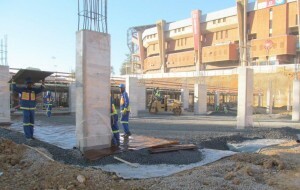 The bidim used in this project was produced using over 98 800 recycled cooldrink bottles. 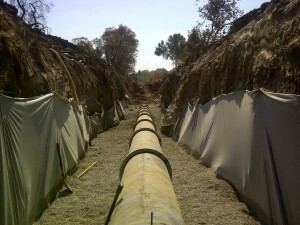 Constructed over a clay liner, a drainage system using bidim A5 at its base, provided filtration and separation for the removal of leachate. The bidim used in this project was produced using 42 972 recycled cooldrink bottles. 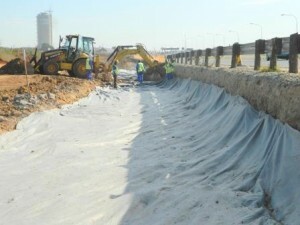 To prevent the possible build-up of hydrostatic pressure behind the concrete block retaining wall, a blanket drain was constructed consisting of a layer of bidim A2 covered with a 120mm layer of 19mm stone followed by a second layer of bidim A2. 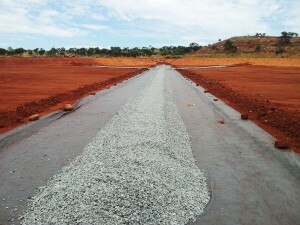 Rehabilitation of this section of road, necessitated the need for subsoil drainage using bidim A4 at the hill cuttings. The bidim used in this project was produced using 106 670 recycled cooldrink bottles. Dropping the road level at this off-ramp for noise and safety reasons meant that ground water levels had to be adjusted for. 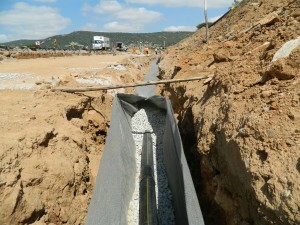 A 400mm x 400mm conventional stone drain wrapped in bidim A4 was installed on both sides of the new proposed road as well as the on and off ramps to the town. bidim A4 provides filtration and separation functions wrapped around slotted pipes which form part of a leak detection system. 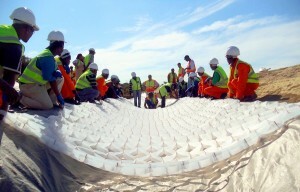 The bidim used in this project was produced using 6 589 recycled cooldrink bottles. 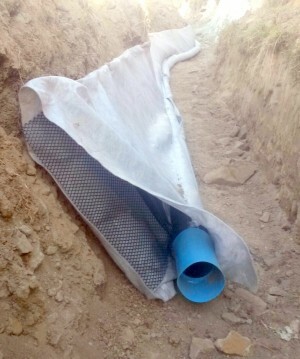 bidim A0 was laid as the drainage separator between the liner installer’s filtration system and bidim A8 for the protection layer to their HDPE liner. The bidim used in this project was produced using 1 169 350 recycled cooldrink bottles. 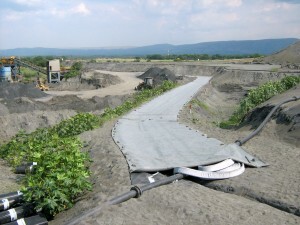 A completely synthetic filter drain system using bidim A6 was specified for this tailings facility as opposed to the traditional sand and stone design and afforded the client significant cost- and time-savings. The bidim used in this project was produced using 18 888 recycled cooldrink bottles. 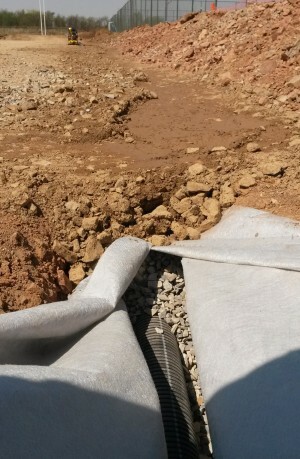 A bidim A4 blanket drain was installed between the backfill layers. 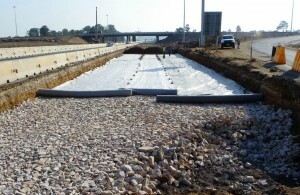 bidim A4 provided filtration necessary behind the gabions at the culverts of the new ring road. The bidim used in this project was produced using 49 729 recycled cooldrink bottles. 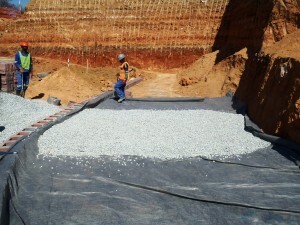 bidim A4 and A5 were used in the toe drains, edge drains and as filtration behind gabions during the capping of this facility. 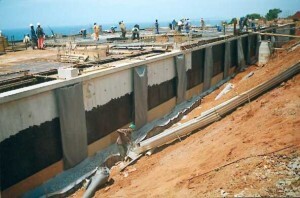 bidim A6 was used as liner protection and filtration in the storm water collection dam. 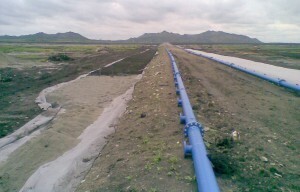 As part of the tailings dams, bidim A4 is used to allow water to drain out and be recycled. 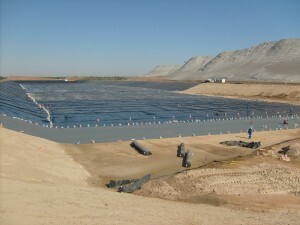 The tailings dams facility at this mine used bidim A4 beneath the graded natural filter layer in a filtration and separation function. 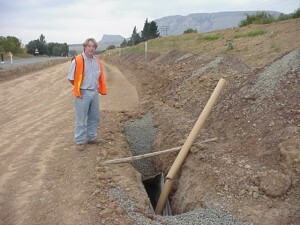 bidim U24 used for subsoil drainage in the Harrismith vicinity. 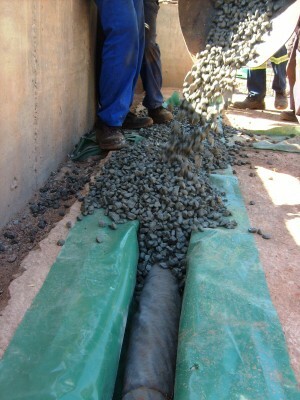 The 500mm wide WickDrain feeds vertically into a collector drain behind the basement section of the building. bidim A2 used as part of a vertical drain behind a basement wall. 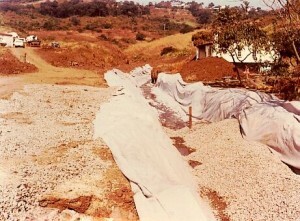 When water wasn’t draining off the synthetic section of the track, subsoil drains were installed using bidim as filtration. 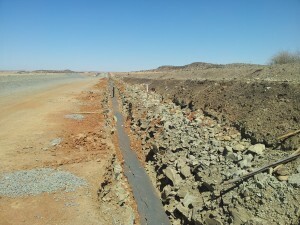 Almost the entire 20km section upgraded had new subsoil drains installed. 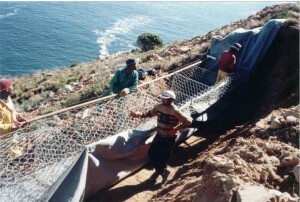 Strict environmental controls were in place requiring labour intensive methods be used. 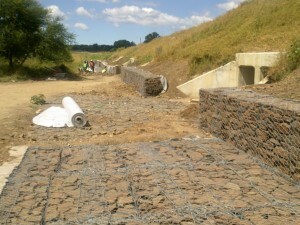 bidim was used to line the french drains and also as a filter fabric behind all the gabions. 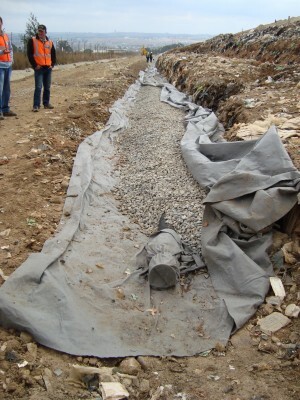 The blanket drain installed using bidim U34 drains into a conventional sub-soil drain running almost the entire length of the site. 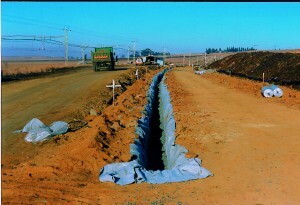 bidim A2 in this rail link subsoil drain. 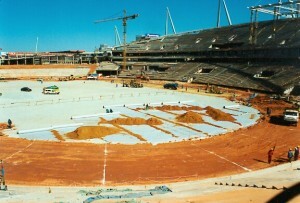 A bidim blanket drain was laid in this sports field application. 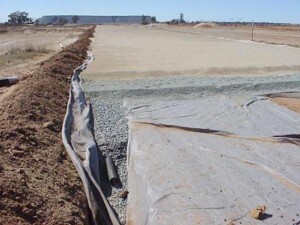 Blanket drain for this sports field application. 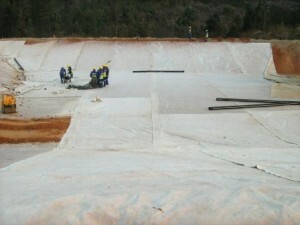 This 57m high rockfill embankment dam uses bidim A8 as an adjunct to the clay core protection filter. 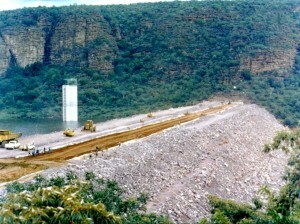 Download the case history of this enduring rockfill dam. 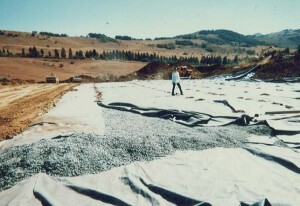 A bidim blanket drain is laid beneath the landfill.